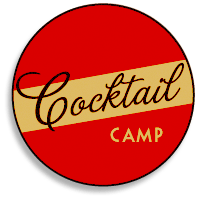 Cocktail Camp ran in Portland from 2010 to 2012, but we have no further events planned at this time. Cocktail Camp is a day-long event that’s part social gathering and part learning experience. If you enjoy finely crafted cocktails, or just want to learn more about what goes into them, join us in Portland every April! We had a great time at the third annual Cocktail Camp last weekend and we hope everyone who came out did as well. We know the beautiful weather and other events happening that weekend were almost as compelling, so we really appreciate everyone who made it. 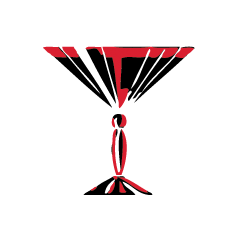 We offer the opportunity to engage with an audience of professional mixologists, enthusiastic home bartenders, and people who are eager to learn more about craft cocktails. If you'd like to talk about how you can reach our audience, please review our sponsorship packages. We open the doors at 10:30am with the first panel beginning at 11:00. We break for lunch mid-day, and wrap things up at 5:00pm. Yes! We have three social hours scheduled for the day, each of which will be serving two cocktails and a punch. Four drink tickets are included with your admission to the event. There will also be a cash bar open throughout the day. Yes, food will be available on-site all day. There are also a number of great options only a short walk away from the venue. Does Cocktail Camp have an age limit? Yes, Cocktail Camp is a 21+ event. IDs will be checked at the door. You will receive your ticket via email immediately after purchase. This ticket must be printed and brought with you the day of the event. Sure! If you can’t make it for whatever reason, feel free to give your printed ticket to a friend. Tickets are fully transferable.